Akaka Falls State Park, along with the northeastern Hamakua Coast, is home to two gorgeous waterfalls and an abundance of lush tropical greenery to delight visitors. The stroll to reach Akaka Falls is almost as beautiful as the falls itself. After taking a short set of stairs, turn left and follow the paved pathway through amazing greenery and small waterfalls flowing into babbling streams. Everywhere you look, you are surrounded by gorgeous plants including giant ti plants, birds of paradise, torch ginger, bamboo, and split leaf philodendron. You will hear the dull roar of the waterfall before you see it. Just as you round a corner, you'll catch a glimpse of Akaka Falls free falling 442 ft. Through a green-lined gorge. In our opinion, the best time to photograph the falls is early in the morning on a slightly cloudy day; the filtered sunlight allows the greenery to accentuate Akaka's misty waters. Further up the path are signs leading to Kahuna Falls, a beautiful but slightly less awe-inspiring waterfall, as most of it is obscured by greenery. The trail eventually loops back to the parking lot, where there are full facilities. Altogether, the path is only 0.4 miles long. Turn inland (mauka) between mile markers 14 and 13 onto Honomu Road. Bear right at the top of the hill onto the main street of Honomu town. Here you will find a delightful selection of art galleries and gift stores as well as several cafes. Take your first right onto Akaka Falls Road and continue for 3.75 miles until you reach the parking lot. If you’d rather not worry about directions and have an expert guide show you Akaka Falls and more, we recommend the Heavenly Hamakua Tour run by our good friends at The Volcano Van- their local guides and intimate knowledge of the area will make your Akaka Falls stop even better. Big Island’s lush green areas host many spectacular waterfalls and adventures- and we have the perfect one for you. How about a hike and waterfall swim, a thrilling zip line adventure, or even a kayak paddle and farm tour? Rather stay dry and have the best seat in the house? Then book a Big Island helicopter tour for the best waterfall views available. History, culture, and adventure come together in these Big Island Waterfall Tours. 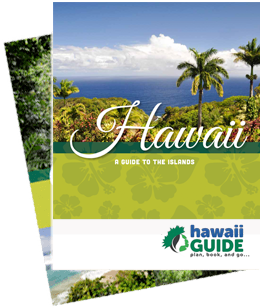 Need more in-depth or specific information about a Big Island waterfall’s location, history, or what to expect once you get there- then check out these helpful articles. Learn it, document it, experience it! To do that you need great resources and gear. That’s why we’ve handpicked these essential products for you- to make the most of your Big Island adventure.